Title Agencies please click here (also see menu item above re: 2018 Annual Review - Form 3283). 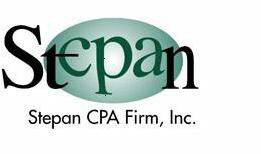 Welcome to Stepan CPA Firm, Inc., the tax and accounting resource. We hope that you enjoy the information that we prepared for you. Please forward to us any questions or suggestions that come-up, as you browse-through our site. Thank you for visiting!! © 2019 Stepan CPA Firm, Inc. All Rights Reserved.